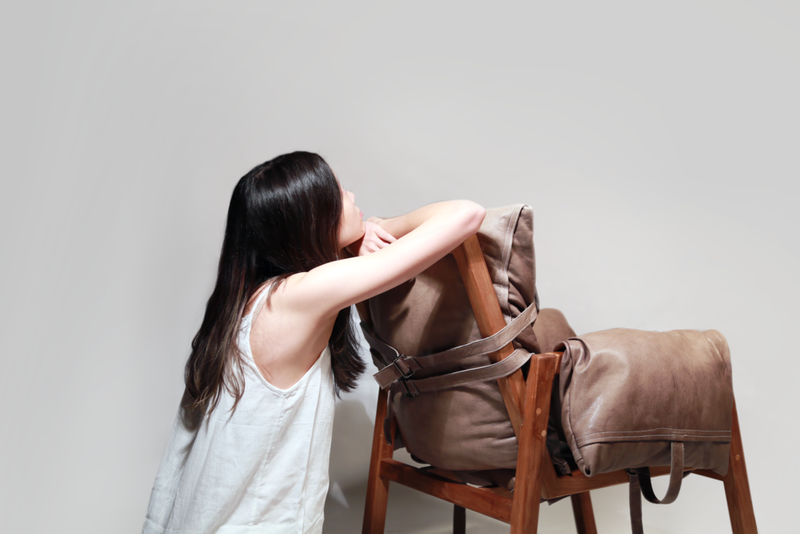 This upholstery chair is designed for a relaxed, laid back home environment, taking inspiration from Japanese fashion designer Yohji Yamamoto’s concept of "making clothing like armor, and protects people from unwelcome eyes". In this scenario the chair would shield the user from the outside world when he or she retreats from a long journey. Caught people unguarded in their vulnerable times and states, the chair embraces all kinds of emotion and becomes a space entirely to oneself. Because the chair aims to give someone a safe, homely feeling, it’s important that it does not have a strong style to it. 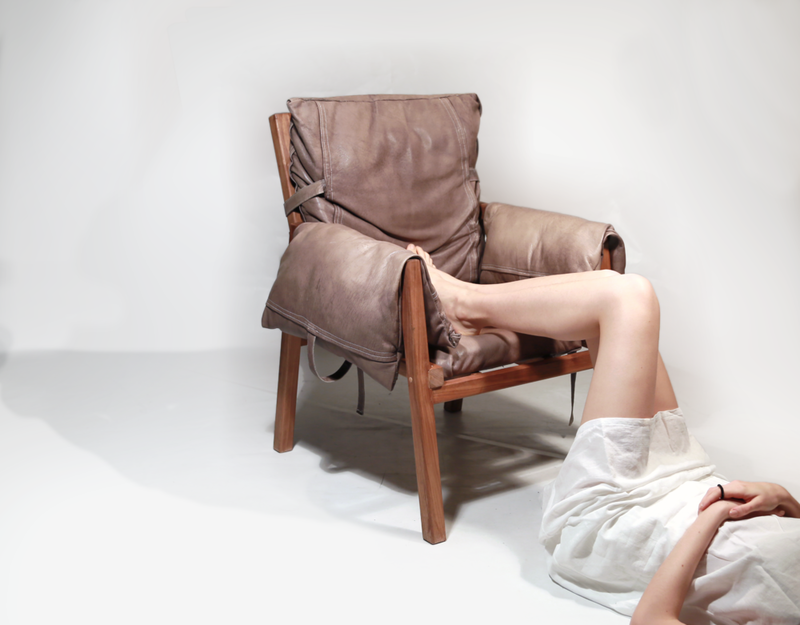 Taking on from that aesthetics, this chair is inspired by materials used and contaminated by time. The minimal wooden frame gives the chair a nonaggressive, unobtrusive character that resonates with its environment.